This kit is a Bountiful collection perfect for fall memories! 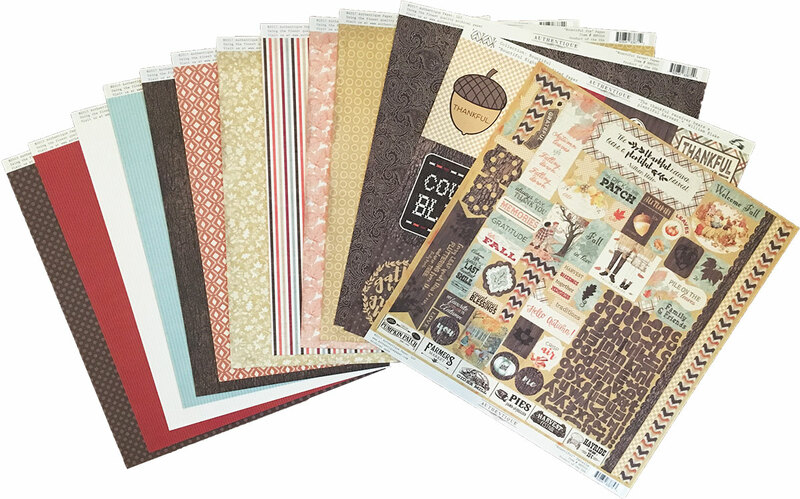 Inside you will find a gorgeous patterned and designed 12" x 12" Authentique, Bountiful scrapbooking collection. The papers in this collection include autumn leaves, acorns, patterned prints, paisleys, and geometrics designs. You'll love the beautiful fall look of this month's kit! We are a small scrapbooking company that takes pride in hand-making scrapbooking kits, stickers, paper and more.